Alive Publications is an outreach of Alive Ministries: PROJECT PRAY. Products featured are books, study guides, resource kits, CDs and DVDs created by the ministry, specifically by P. Douglas Small. Doug Small is the author of more than twenty books on various studies, particularly in the area of prayer and spiritual renewal. Doug often says that he “backed into” the prayer movement. After almost two decades of offering teaching-training ministry to local churches, prayer, he discovered was the missing element in both the life of the church and the personal daily life of the typical believer. For that reason, Alive Ministries refocused much of its attention to prayer training, offering Schools of Prayer and coaching in the area of prayer ministries. In addition to books and audio-visual teaching materials, the ministry offers additional support materials – a prayer ministry coaching process; prayer banners; a prayer kiosk; a prayer-box and more. Alive Publications is a member of the Christian Small Publishers Association. Doug Small’s life is a portrait of passion for Jesus that results from intimacy with God. Many people talk about prayer: Doug Small prays. Drawing upon the lessons God has taught him through devout Bible study and personal experience, this man of God now effectively teaches others about the power of prayer. Whether in the informal bonds of two or three praying together or in a retreat that draws together scores from across a city, his zeal for spending time in God’s presence is contagious. I appreciate the influence Doug’s teaching on our denomination and on me personally, and I recommend his ministry wholeheartedly. I first met Doug Small at a Heart-Cry for Revival conference. I immediately began to see his heart and passion for prayer and unity. Having shared speaking times with him at a Revival forum and seeing his strategy for praying for a city, was revolutionary. His ability to speak across denominational lines to the things that should unite it rather than the secondary things that can divide us, was a great encouragement to me. Doug Small brings an engaging, energetic, and Holy Spirit sensitive voice to the body of Christ. The Holy Spirit is using him to connect Christians from across denominational lines and bring us back to a fresh understanding of our unity in Christ. Doug’s passion for righteousness stirs my heart to prayer for our nation and world. Doug Small is a highly respected national prayer leader with a passion for bringing a fresh air of prayer to the local church. He equips through a powerful mix of biblical and practical teaching with strategic and prophetic insights. More than a seminar of notes and quotes, Doug creates a transformative spiritual experience for any church eager to become prayer-driven for the Gospel of Jesus Christ. Dr. Douglas Small is providing cutting edge leadership specifically in Schools of Prayer and his Prayer Impact Sunday events. Additionally, Dr. Small is spearheading many national and international prayer initiatives that are impacting and networking the Church worldwide toward the fulfillment of the Great Commission. I count it an honor and privilege to serve on his visionary leadership team! Doug Small and Alive Ministries is one of the most effective prayer movements in America today. He has led prayer initiatives for many years both for the local church and for city unity. He is one of the most effective speakers on prayer in the nation. He serves as a member of the Board of Trustees at Holmes Bible College, and we have him speak as often as we can on prayer. His deep knowledge of God’s Word and his understanding of the principles and practices of effective praying have a tremendous impact on our students and the people in churches, conferences and cities where he leads prayer conferences. Every time I hear Doug Small speak I stand amazed at his passion for prayer and his powerful communication of God’s Word. 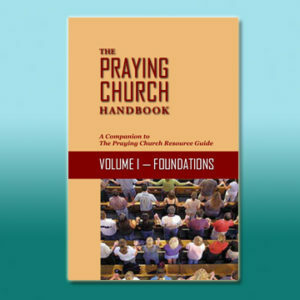 Doug Small personifies one of the most compelling, authoritative, and timely voices on prayer in the Church and culture—nationally and globally. His passion to inspire personal prayer, mobilize prayer ministry in the local church, and foster unified prayer across denominational lines is having a powerful impact within the body of Christ. A prolific writer and engaging communicator, Doug is well-received as a speaker at conferences and seminars across the U.S. and internationally. I have been deeply enriched by his ministry and friendship. I have had the distinct pleasure of knowing Dr. Doug Small as a friend, a colleague and a mentor in prayer for many years. His investment into my life has been immeasurable. His intellectual abilities, combined with his passionate heart for the things of God, gives him an amazing creative, Spirit-empowered edge. Our 1300 people at Covenant Community know him well since we use his process to train all of our intercessors. Above education, experience or intellect, it’s the power of prayer that makes the difference. Doug Small knows better than anyone I know of how to teach, mobilize and strategize your church to become a “House of Prayer.” In the Kingdom of God there are all kinds of leaders, privates, colonels, etc., He is a General. I highly recommend him to any church that wants to truly embrace the power of prayer.